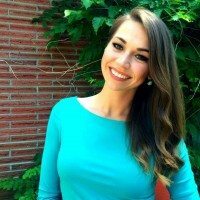 UPDATE: Marijuana Politics scooped the first blog interview with Cyd Maurer and she will be speaking at the upcoming Oregon Medical Marijuana Business Conference. Last week, a television news anchor in Eugene, Oregon revealed she lost her job after testing positive for marijuana, despite the fact that the plant’s use is legal under state law. Now fully out of the marijuana closet, she is sharing her story and putting her media experience towards the cause of reforming the United States’ failed drug policies. Like any other workday, I was completely sober. I was under a lot of stress, on my way to my live shot in a work vehicle during rush hour traffic, and I tapped the bumper of a car in front of me. I was immediately forced to take a drug test, to pee in a cup, and that was that. When you consider the facts, it’s hard to believe that marijuana has been classified as a dangerous substance, but I think it’s at least partly due to a lack of exposure. We need more realistic examples of normal and responsible marijuana users, so here I am! Last year, Oregon voters approved Measure 91, which legalized marijuana in the state and regulates it like alcohol. However, as Maurer’s story shows, there is still a lot of work to be done to guarantee that responsible, hardworking Oregonians are not discriminated against merely for consuming a substance that is safer than beer or wine. Employers in Oregon are still free to impose strict drug-free policies, meaning that employees can still be subject to punishment or termination for their marijuana use, even if it is off-hours and in compliance with the law. Maurer’s story also highlights the need for more reliable measures of marijuana-induced impairment, particularly in how it relates to driving and on-the-job performance. Most drug tests identify the presence of cannabinoid metabolites, which can remain detectable in the body weeks after marijuana’s effects have worn off. While there has been some recent progress in the development of a marijuana breathalyzer, the relationship between metabolite levels and impairment is still not fully understood: any positive drug test can be interpreted as evidence of being high on the job or behind the wheel. Deterring impaired driving is unquestionably a crucial aspect of promoting public safety, but when authorities rely on imprecise technology, people like Cyd Maurer become collateral damage and pay for a crime they did not commit. For these injustices to be avoided, it is imperative that additional research on this question be conducted and applied to both American workplaces and law enforcement agencies. I truly believe once people learn the facts about marijuana, they’ll be just as shocked as I am that this is even a debate. Alcohol use outside of work can easily affects a person’s job performance, yet it is acceptable for employees to not only drink during their free time, but also to frequently talk about their drinking antics around the office. Marijuana use, also outside of work, never negatively impacted my job performance. Marijuana doesn’t come with a hangover. Marijuana doesn’t damage my brain. Marijuana doesn’t make me hit my husband, or encourage me to make rash decisions. Yet my marijuana use alone was seen as reason enough for me to lose my job. It’s time to stop the hypocrisy. If you’re okay with alcohol, there’s absolutely no reason you should have a problem with my marijuana use. Oregon Patients Push Back on Senate Bill 844. ACTION STILL NEEDED!